We have a crabapple tree in our yard and there are a few others close to us. 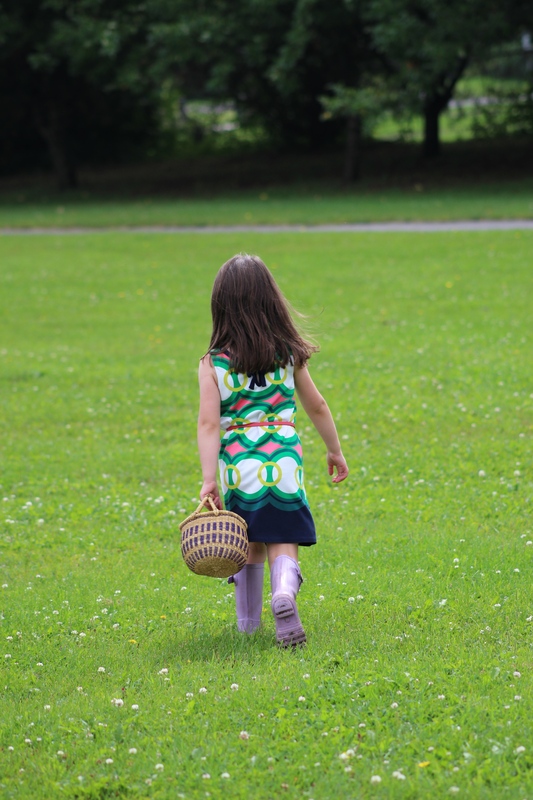 Evie really wanted to pick the apples, mainly to use her basket to carry them. We decided if they were being picked we had to use them. I have never used crabapples for anything before, the squirrels usually stashed ours away for the winter. We did a little research and came up with a plan. Mash and boil 5 mins longer. Look at that deep red colour. 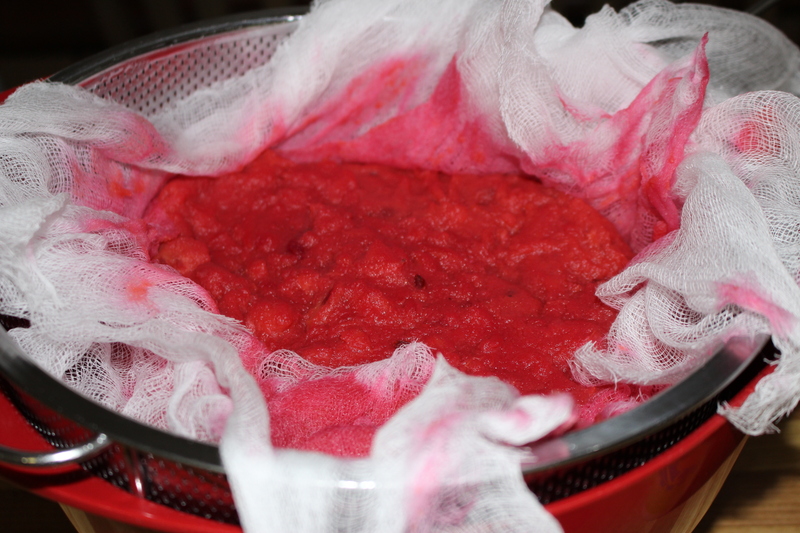 Then we placed a few layers of cheesecloth over a strainer over a large bowl. Pour the mash into the strainer and let it sit to strain the juice out for at least 2 hours. Then squeeze and stir to get as much juice out as possible. This gave us 4 cups of juice. At this point get your canning supplies ready. 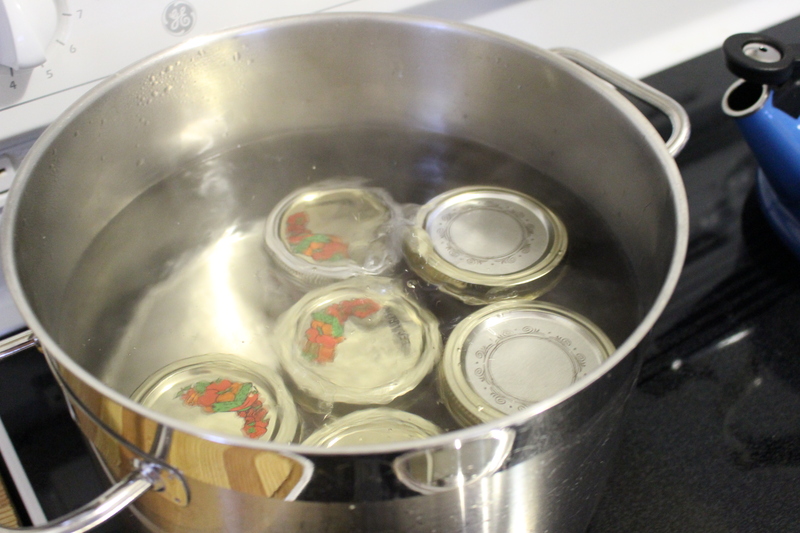 Put a canner or large pot of water on to boil, water will have to cover all of the jars. 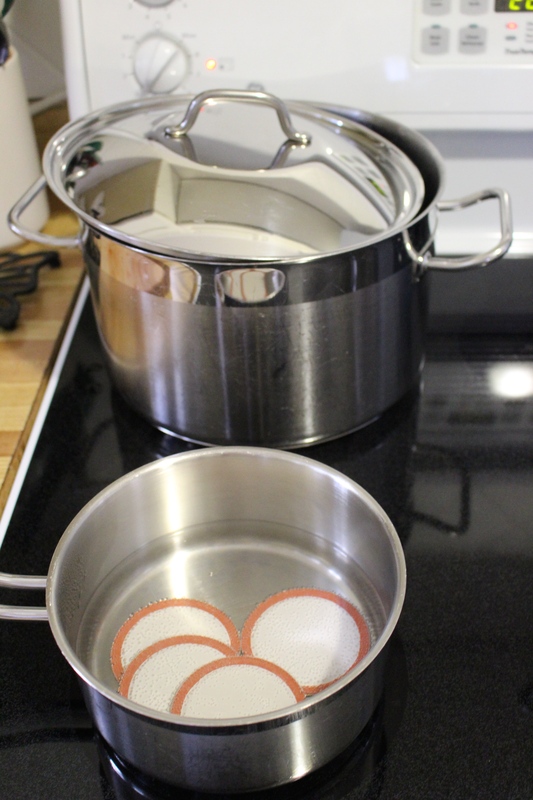 Put a small pot on to heat (just a light bubble) some water to place the lids in to soften the rubber seals (do not boil the seals). The rims are fine as they are, just make sure they are clean. We tasted a little drop of the juice on a spoon and it was like acid, extremely acidic and sour. That explained why all of the recipes we saw said to use almost as much sugar as you had juice. This just didn’t sound right to me. I decided to go with once website that said use about ¾ sugar per cup of juice. I measured out 3 cups but didn’t use all of it. 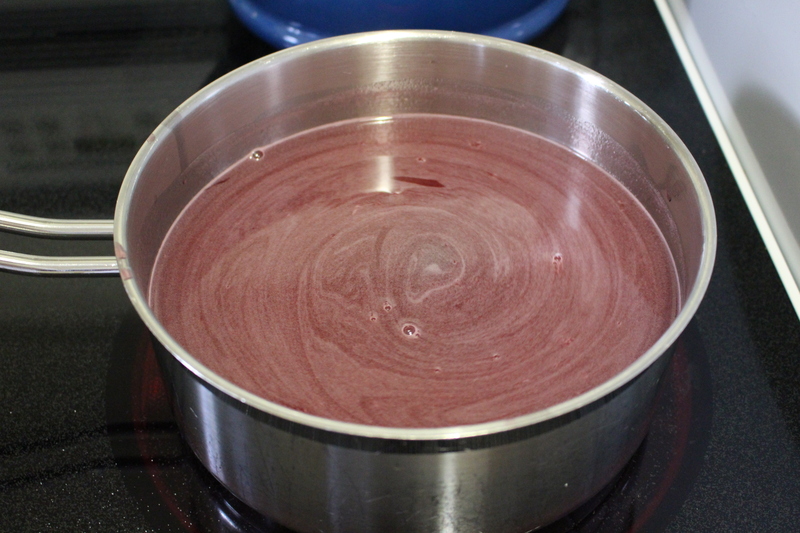 Place the juice into a saucepan, make sure there is room for it to boil and to add the sugar. Bring the juice to a light boil and and start adding the sugar. I added the sugar slowly stirring. After 2 cups it tasted like hot acid. We kept adding. Evie was getting nervous at this point, saying “stop mom that is too much” at 2 and 1/2 cups we tasted and she said it was enough, “good like that”. I sprinkled in a little more but left it at that and hoped for the best. Bring this mixture to a rolling boil, skimming off the foam from the top, you don’t want that in your jelly. That is the foam that I skimmed off. Boil until the temperature reached the gelling point, 220 degrees Farenheit on a Candy thermometer. This was the hardest part it seemed to take forever to get to that point. This was me checking the temperature just before I started skimming the foam. 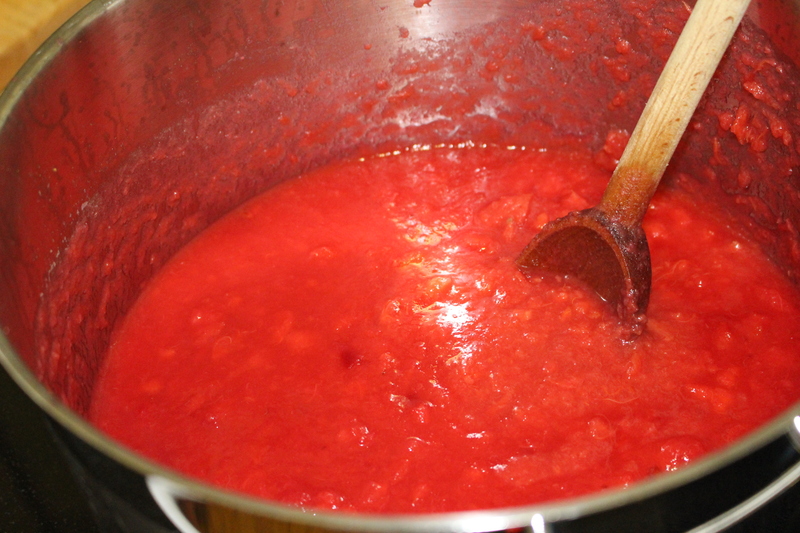 After it boils and reached the gelling temperature I am left with this deep red glistening bubbling mixture. 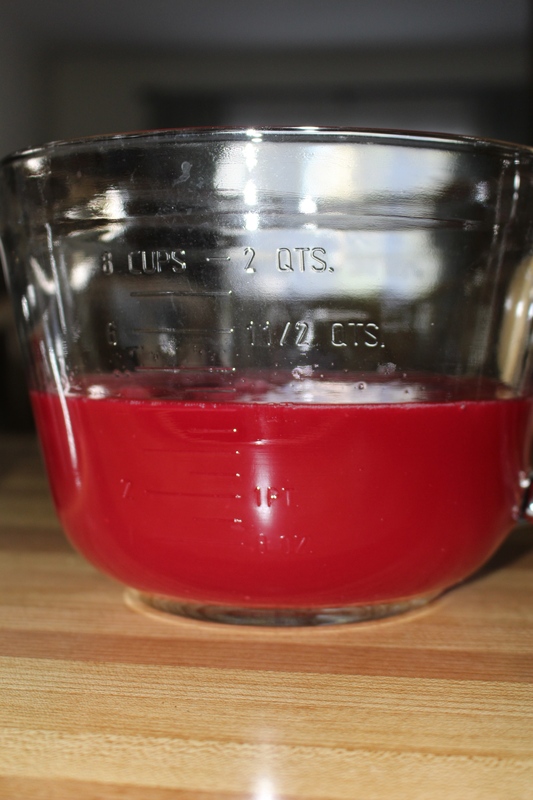 Once you reach the gelling point pour into hot sterilized jars (mine had been in warming/sterilizing 225 degree Farenheit oven all the while I was preparing the juice mixture, at least 20 minutes). Carefully pour the juice mixture into the hot jars. Take each lid out of the hot water and gently place on the top of the jar. Place a rim over the jar and screw on just until finger tip tight, just until you feel a slight resistance. The rims just hold the lid in place until it is sealed, once sealed you do not even need the rims. I leave them on anyway, but DO NOT tighten them. Very carefully place the jars into the canner/large pot of boiling water. 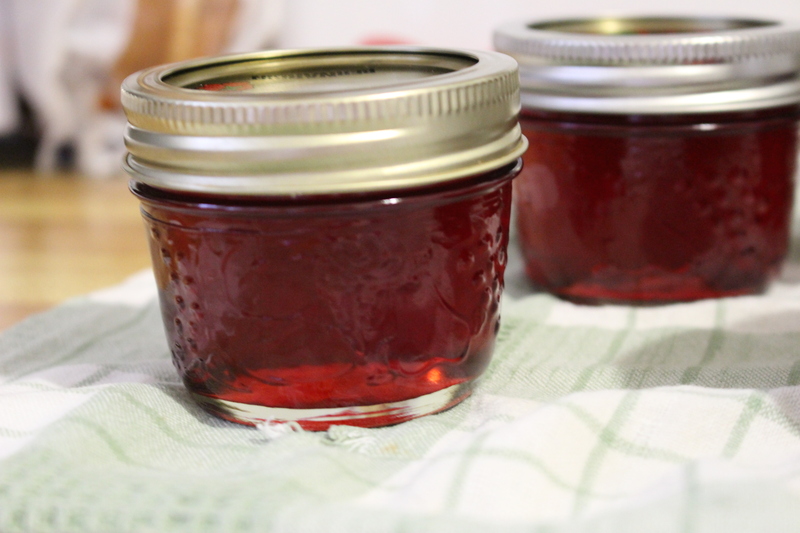 Make sure there is enough water to completely submerse the jars. 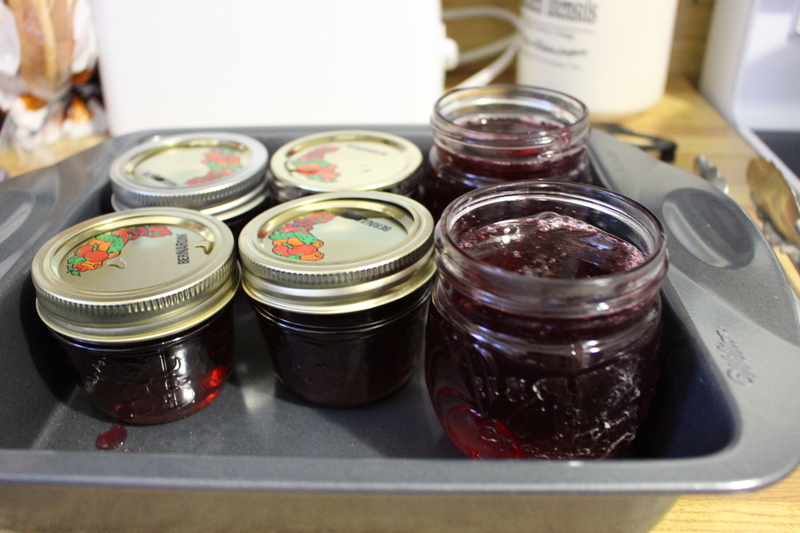 I only had a few small jars so I used a big pot rather than a huge canner for such a small batch. Boil for 10 minutes (be sure to check processing time for the altitude where you are). Then very carefully remove the jars from the pot and place on a safe pot on the counter to cool to room temperature. The jars may already have sealed or as they cool you may hear a pop sound. That is a good thing, it means that the lids have sealed to create a vacuum. Let cool over night without moving the jars. Before placing in a cupboard make sure the jars have sealed. Push down on the middle of the lid to see if the lid makes a popping sound, if it does it is not sealed. Put it in the fridge and eat right away. If they are sealed you can store in the pantry for a year. We opened a jar later in the night and it was good, better than I had expected. Sweet and tart. While the jelly was cooling we made some homemade peanut butter (post to follow) to make peanut butter and crabapple jelly sandwiches. I think we will do this again next year! 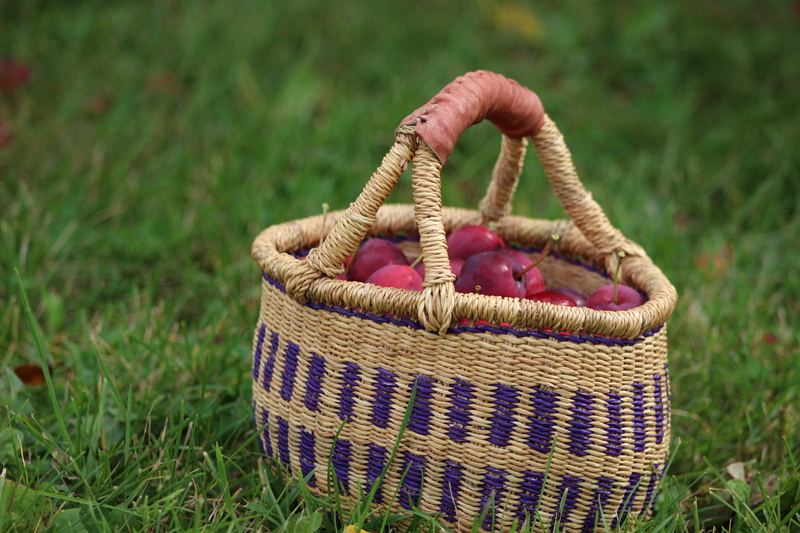 This entry was posted in cooking, preserving and tagged canning, crabapples, jelly, preserving.